Green tea is popular for its medicinal and healing benefits, the best known among them being that it increases metabolism, which consequently helps burn fat faster and aids in weight loss. Additionally, green tea is also commonly used as a means of hydration and cleansing the body of toxins—but the list just doesn’t end there. 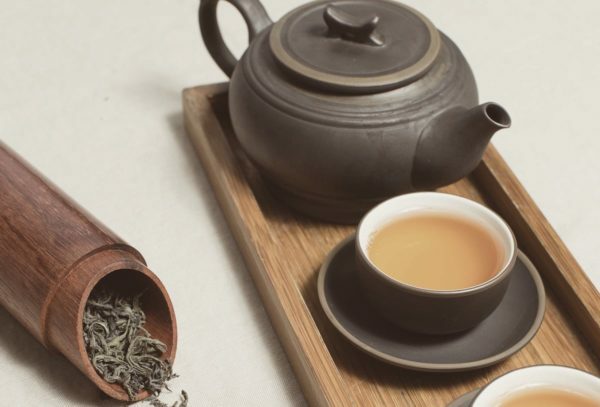 Green tea has a whole slew of benefits that many people aren’t aware of. Green tea is healthier than black tea, mainly because of the difference in the production process of the two. Black tea production requires fermentation, which is not required for green tea production. Since fermentation is not involved, green tea contains a higher amount of antioxidants and nutrients than your black tea. It may be worth it to switch for those of you that are morning black tea drinkers. It’s known that the health of your mouth is directly related to the health of your digestive system—they are directly connected afterall. In addition to speeding up metabolism green tea helps to prevents tooth decay by destroying the viruses and bacteria that cause it. It also helps freshen your breath. A rather unknown benefit of green tea consumption is that it helps improve eyesight. The same antioxidant that helps with oral hygiene, Catechin, can be absorbed by the eye tissues, and protects them from several diseases. It also protects the retina against UV damage, which subsequently improves vision. Green tea also reduces anxiety and stress, and relaxes the body and mind. L-theanine, naturally found in green tea, has a calming effect on the drinker without sedating them. Theanine acts as a stress-relieving agent, while the caffeine content of green tea gives a boost to the cognitive functions of the brain. Overall, green tea plays a vital role in making the brain function at its optimal capacity. Studies show that EGCG, the most active and powerful antioxidant found in green tea, provides protection against cancer. Oxidative damage contributes to uncontrolled growth of cells leading to cancer development. Antioxidants in green tea fight off the free radicals in the body, reducing the risk of many types of cancer. Green tea improves attention and memory. Caffeine and 1-theanine found in green tea keep the mind alert and enhance brain function. This in turn leads to better mood and higher cognitive performance. Free radicals found in the body cause cell damage and trigger brain inflammation leading to memory loss, anxiety and depression. Green tea counteracts the oxidative damage in the body with the help of its antioxidant content and anti-inflammatory action, hence, reducing the risk of cognitive diseases like Alzheimer’s and other brain disorders. Catechins found in green tea act as antiviral and antibacterial agents. Regular consumption of green tea prevents the body from many diseases, thus, strengthening the immune system naturally. Green tea consumption keeps the skin clear of acne and other outbursts by flushing out toxins from the body. Unlike coffee and black tea, green tea consumed without creamer is more hydrating for the body and skin. Like all internal substances, the benefits of green tea can only be reaped through regular and consistent usage. The antioxidant and anti-inflammatory properties of green tea makes it a magical drink for all those looking for natural treatments and supplements. However, it should be noted that green tea does not cure any of the diseases discussed above, rather it merely helps in reducing the risk of getting those diseases. Once you have fallen victim to any of these medical problems, you should consult with your doctor immediately for a proper course of action. How do you like your green tea? Tell us in the comments below!